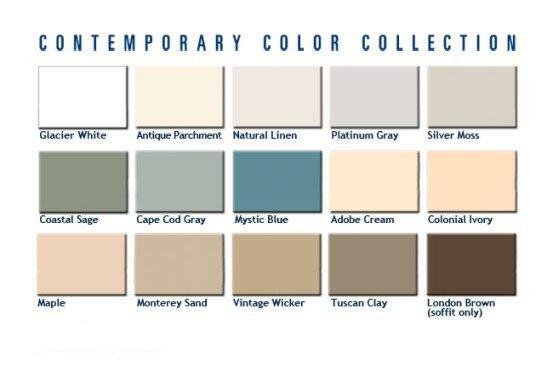 Associated Material's Contemporary Color Collection provides a wide range of today’s most popular exterior colors. With one of the most expansive color selections in the industry, and the fade-resistance protection of ChromaTrue™ copolymer technology on darker colors, the Contemporary Color Collection provides the beauty, variety and security that you need to create the perfect look for your home. All colors in the Contemporary Color Collection offer industry-best fade coverage in a lifetime, transferable warranty. 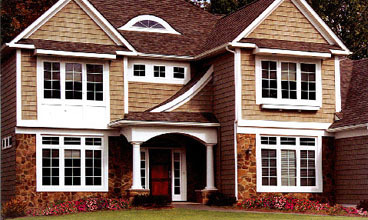 *And with AMI’s exclusive ColorConnect® color matching system you know that, whatever colors you choose, all AMI siding, soffit, trim and accent products will match perfectly to one another. Let your creative spirit flourish: Associated Materials Inc provides the beauty, variety and security you need to express yourself. View the Color Matrix to see what colors are available for any AMI siding, soffit or trim product. Please enter the number 35087 in the box provided below.